Fans need not wait any longer as Star Music head Roxy Liquigan officially revealed the date of Daniel Padilla’s 2017 concert. Touted as DJ Classics, the pre-valentine concert is happening on February 5, 2017 at the Araneta Coliseum. Tickets for Daniel’s comeback concert, meanwhile, are to be sold starting this November 30. Just a few moments since the announcement and the hashtag “#DJPClassicsAtThe Araneta” went at the top trending topics on twitter. 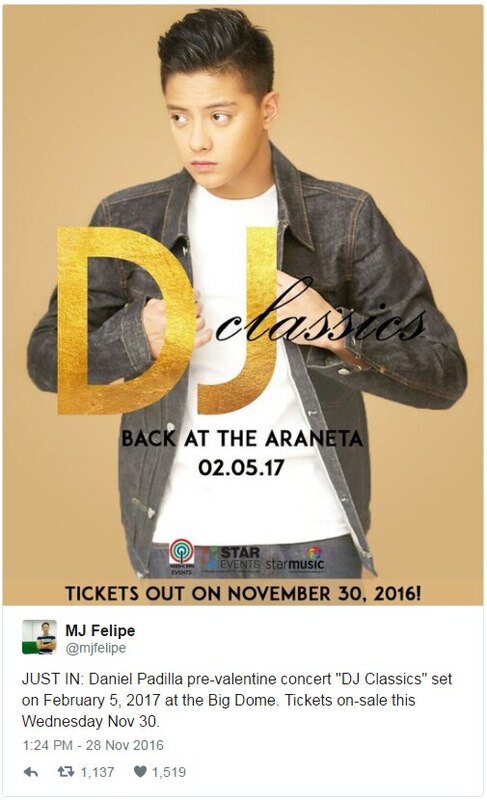 DJ Classics is Daniel’s return concert at the Big Dome after staging Most Wanted at the SM Mall of Asia Arena in 2015. The show is set to be the La Luna Sangre star’s fourth major concert since Daniel On Stage in 2014 and Daniel Live in 2013, which both happened at the Big Dome. 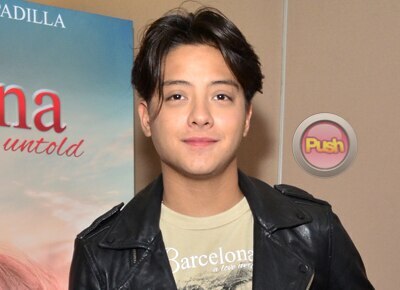 Apart from the concert, Daniel’s and Kathryn Bernardo’s fans can also expect a movie and the soap La Luna Sangre from their idols come 2017.